Within the last 2 weeks Holden has been trick-or-treating twice already. 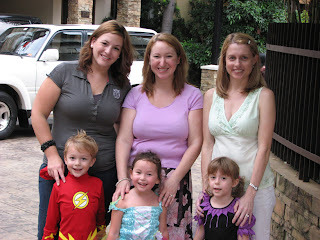 Once at an American Women's party and another time with a friend in her neighborhood. Both times the pumpkin bucket has been chock-full. With two more trick-or-treating parties to go tomorrow I think we will have enough candy to fill Christmas stockings with this year. Here are some highlights from the season: I especially like the picture of Nate and Paul wearing the costume accessories the kids refused to wear. For my girls back home. 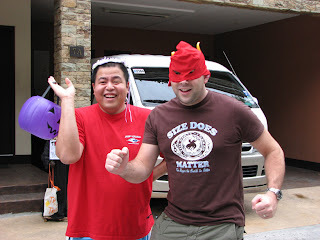 Even though we don't keep in touch nearly as well as we should, this picture brought back an holiday appropriate memory! And yes, it hangs in our house year-round not just this month! Miss you girls...and this includes the ones NOT in the photo as well!!! 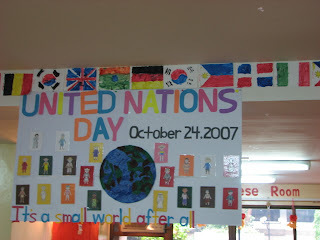 Holden's school had United Nation day on Wednesday. 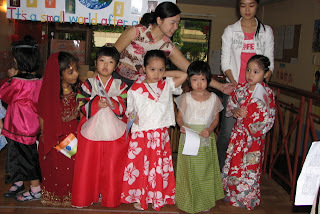 Each child was asked to wear an outfit native to their home country. 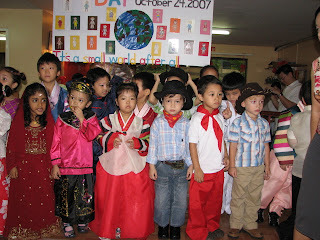 The school has a very international community, so there was a lot of variety and the kids looked adorable! 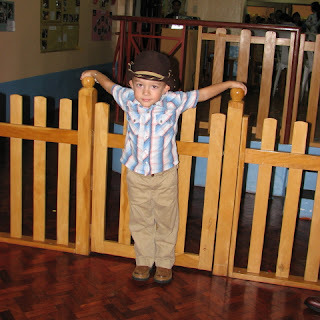 I bet you are shocked to find that Holden wore cowboy boots and a hat. The school has been learning Mandarin Chinese, so a lot of their program revolved around that. They sang songs in Mandarin, did a Chinese dragon skit and of course sang "It's A Small World After All." 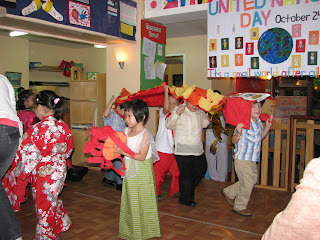 Holden's class doing their Chinese Dragon skit. Oh! 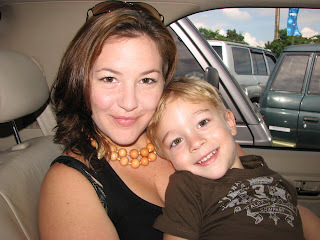 You are turning into "that mom"
There are a lot of things I like about Holden's school. Most things in fact. You know that saying; "the devil is in the details." Yeah, well that is where my problems seem to stem from...the details. 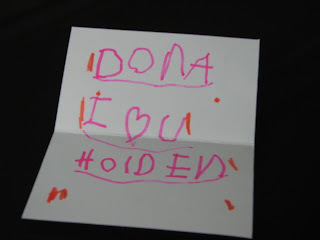 The second, but less pressing issuse came a couple of weeks ago when a letter made its way home in his backpack about costume day. 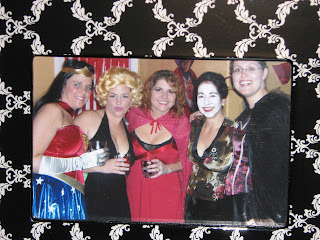 Last time I checked it was Halloween, but I am going to roll with the punches here. Costume day this year is going to be a harvest theme the letter says. 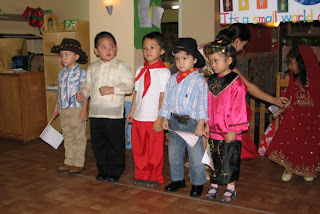 Children should wear costumes representing the harvest season. Suggestions included: tomato, pumpkin, etc. 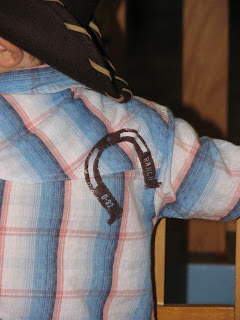 NOW, I don't know about you, but who has a 4 year old that is going to roll with this? "No sweetheart, I know you want to be superman this year, but it has been mandated, you have to be a pumpkin...get back here and put on this pumpkin costume!!!" 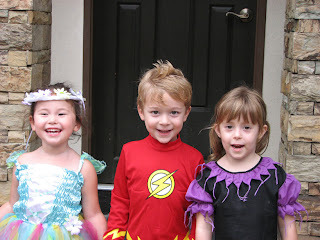 So, I casually mention to one of his class teachers a few days later that maybe superhero and fairy princesses might also be allowed at the costume party. "Well can't you dress him in a brown shirt and maybe pin some leaves to him?" In my mind I am thinking, are you insane! 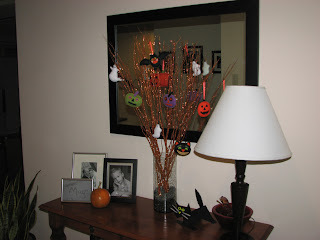 Did you see my previous post about that darn Halloween tree? How could I possibly find leaves here? We live 35 stories above the city. 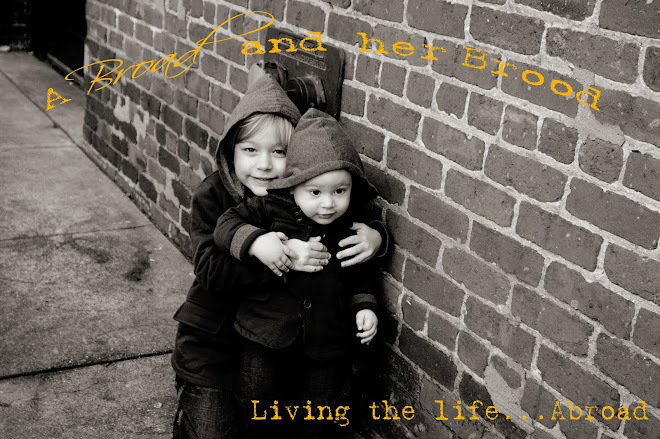 Where would I find a brown shirt? Where would I even find pins? Yeah, I'm totally incompetent. On top of that I would still we have the problem of convincing Holden this will be a great costume, you know EVERY kid wants to be a tree for Halloween! ANYHOW. I convinced Nate that he agreed with me on these issues (didn't take too much convincing) and we met with the school director to discuss our concerns. A few days later, another letter. No scary costumes allowed, but superheros and princesses are now permitted to come to the party and there are tighter guidelines on birthday parties as well. As of November shoes are no longer allowed in the school. This means that children will need to bring in a pair of slippers to wear while in school. Parents and yayas are encouraged to follow the policy as well. Which means that every day we drop him off and pick him up when we have to go in the school and sign him in and sign him out we have to remove our shoes and put on slippers. Lets just say Nate has taken issue with this one. Lets see if he turns into "that dad." I'm not an extremely crafty person, but I have been know to "get my craft on" one time or another. There is NO PLACE more difficult to find "crafting supplies" than in Manila. That being said, there was probably no place easier to find crafting supplies than the state of Utah where all things craft and scrapbooking are king! Due to the difficulty, I am VERY proud of our Halloween tree, which took one trip to the American womens bazaar for Halloween knick knacks, one trip to the nursery to buy rocks, and one trip to greenhills market to find sticks with glitter. Yeah...this project, with drive time, probably took the equivalent of 30 hours. Oh for the days of Michaels Arts and Crafts and 40% off coupons! For those of you who wonder...this is what I do all day and why it takes me so long. Another great find this week...pumpkins. They may be too little to carve and they may have cost an exorbant amount for their size, but they are pumpkins and we are festive. "What do you want to write on Dona's birthday card?" "Ummm, (long pause) I love you." The other day he was rummaging through my jewelery box and came out with a ring box. "Mommy, close your eyes for 5 minutes!" Of course I do this. "One, two, three, four five" he counts. "Okay, open them!" 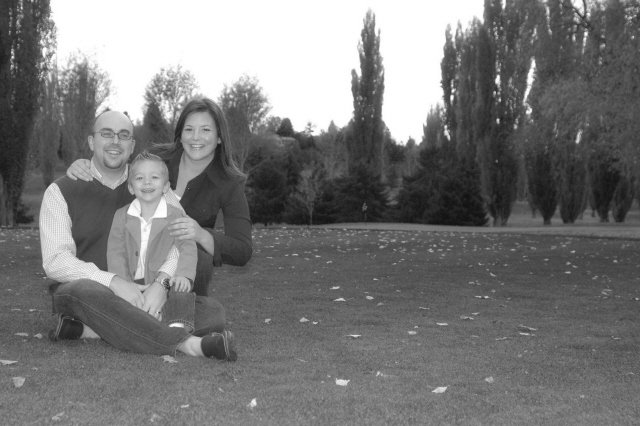 With a sheepish glance to his daddy he says; "Mommy, will you marry me?" and opens the ring box. Like I can say no to that face! It's a common game around our house now. "Mom, I want to play 'will you marry me again!'"